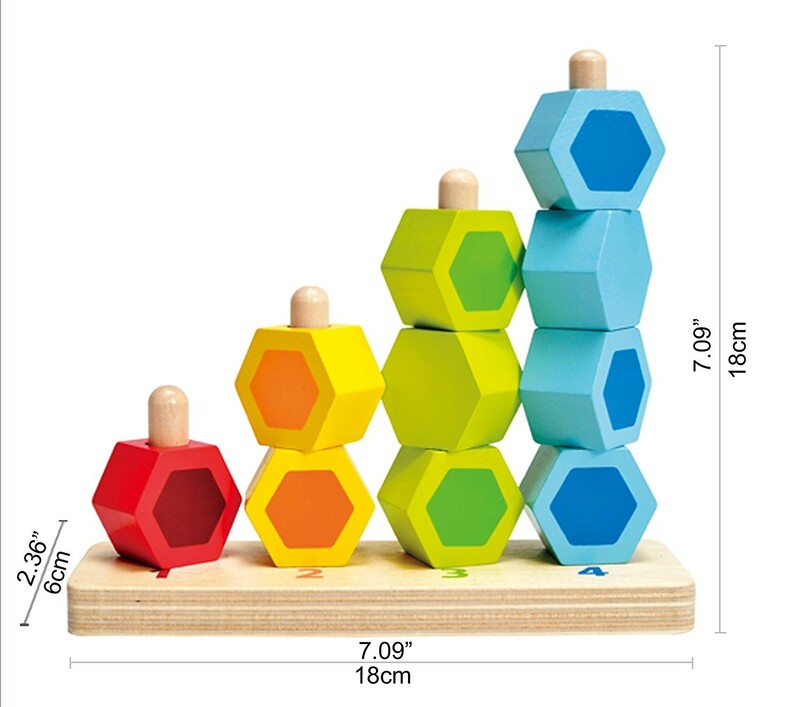 Count them, sort them, stack them! 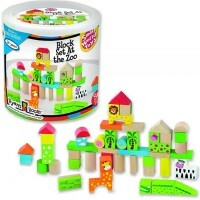 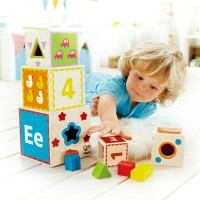 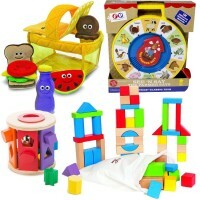 Hape's Counting Stacker has 10 colorful blocks to play and learn with! 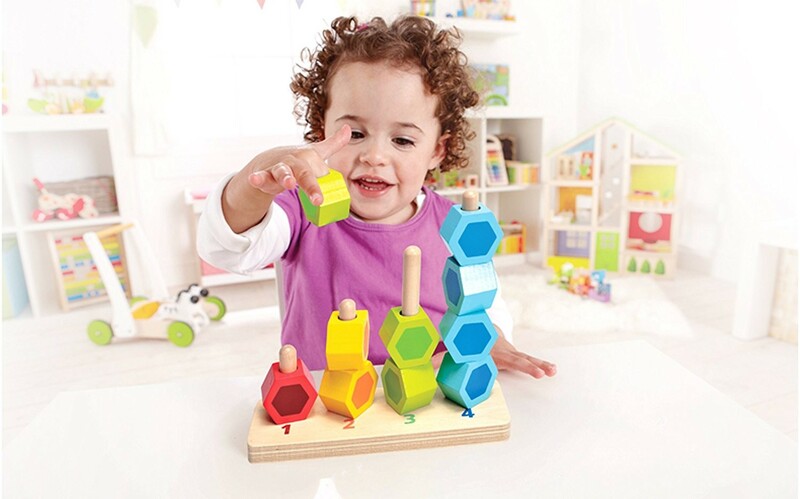 Stack em' up, take em' down, the shape sorter encourages preschoolers to sharpen their counting and motor skills through the use of this entertaining and educational shape stacking play set! 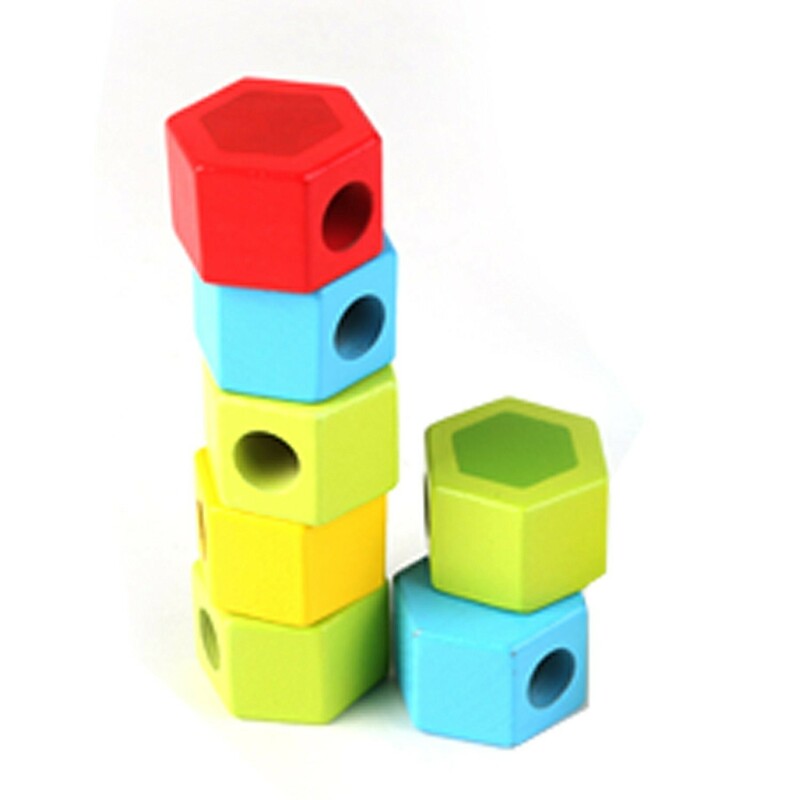 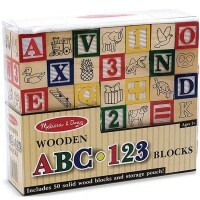 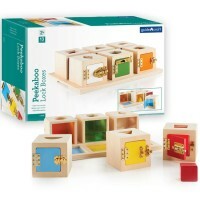 Featuring whimsical shapes which correspond by color to numbers 1-4, Counting Stacker Wooden Block Set contains 11 eye catching, quality wooden blocks for your child's visual and tangible enjoyment, as well as a finely made wooden base with pegs, perfectly sized to fit the blocks. 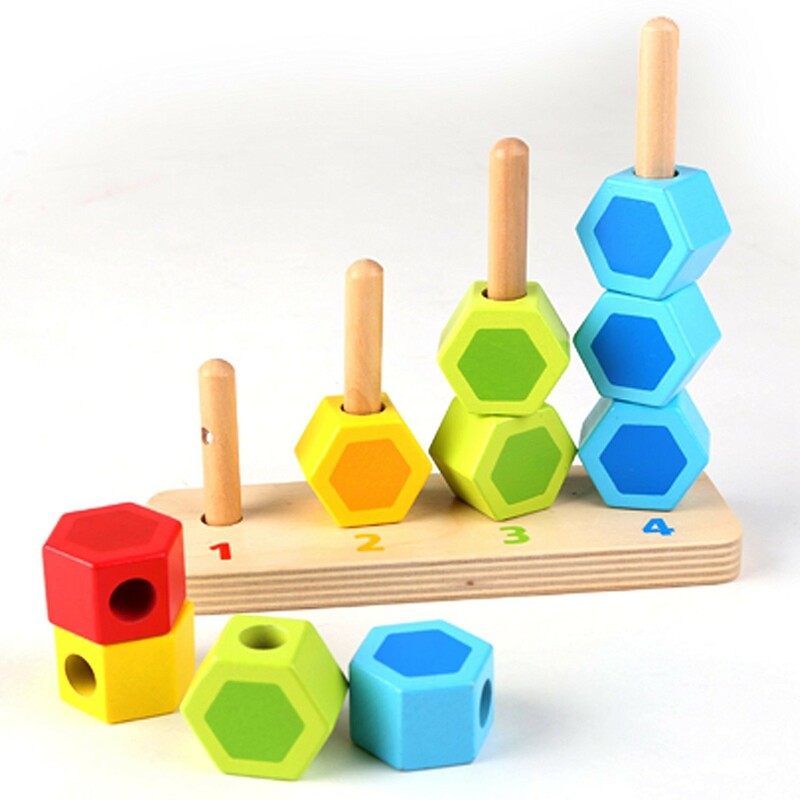 Your child will waste no time falling in love with this kit of various colorful, chunky circles, from highly commendable toy manufacturing company, Hape. 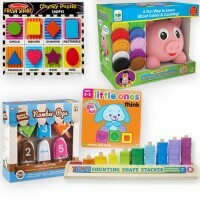 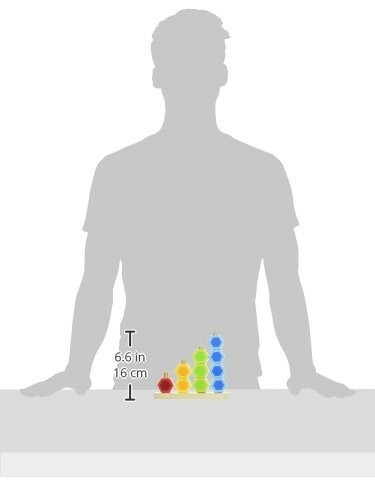 To improve your toddler's mathematical, corresponding, and comprehensive abilities, purchase this Educational Toys Planet's stacking activity toy today! 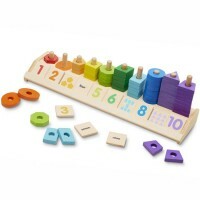 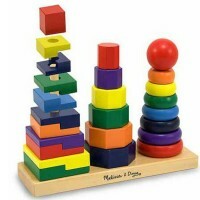 Dimensions of package 2.36" x 7.09" x 6.73"
Write your own review of Counting Stacker Wooden Block Set.